OmniSense is a leader in real-time, cloud based remote monitoring solutions. With OmniSense Remote Monitoring users can view sensor data in real time from any web browser on your desktop, laptop or mobile device. With a focus on monitoring building performance we offer sensors for monitoring temperature, humidity, wood moisture content, dew point, surface temperature, differential pressure, energy usage, liquid flow rates, sound pressure level, vibration, air particle count, weather and more. Don't see the sensor you are looking for? 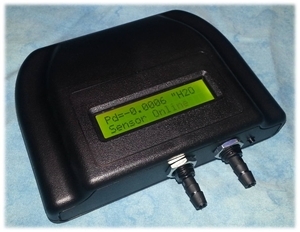 Call us as we are often able to add a new sensor in days. Most sensors are wireless and powered by a long life lithium battery which can provide up to 15+ years of service. 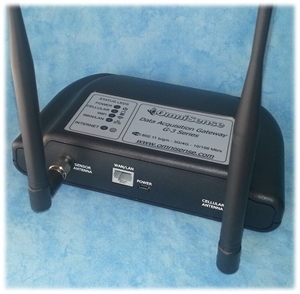 The G-3 gateway can connect to the internet by cellular, WiFi or LAN connection. In the US OmniSense bundles cellular service from your choice of Verizon, T-Mobile or Sprint and international customers simply insert their own SIM card into the G-3's GSM MODEM to get online with their favorite mobile carrier. Typical monthly fees are either $20/month with no cellular data service or $29.99/month including cellular data service. System installation is easy and most of our users are often viewing real time data within minutes of opening the box. Simply place a G-3 gateway at the job site then place the wireless sensors as needed, login to the monitoring web site and view data in real time. The gateways send data in real time to our web site or can be used in datalogging mode with internal FLASH storage for up to 256,000+ sensor readings. All of our products are FCC and CE approved for use in North America and the EU and our web site allows users to specify their preferred units (metric or English) as well as their time zone.